We will check hardware and software to determine failures, conflicts, and malfunctions. 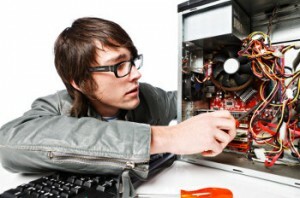 Here at 123pcsolutions.com, we aim at fixing your computer and laptop at the best and most affordable price possible. Our team of experts will offer you the best services within the shortest time span. We guarantee you that we use only high quality and brand new parts when repairing your machines and even offer you a warranty for them as we have complete trust in our services. 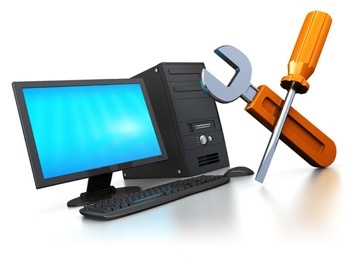 We support all types of computer users with any problem ranging from broken screens to network problems, data recovery and virus infections among other issues found there in between. If you can’t come to us, our remote computer repair support service is designed exactly for you. Speak directly to us and we will give you free estimates and fixed priced repair services to ensure that you don’t pay more than you really should. Here at 123pcsolutions.com, we strongly believe that customer satisfaction is paramount and we strongly believe that you deserve the best service possible as our customer. As such, we endeavor at bringing you the most competitive prices possible in the whole of Miami and we also back this with our topnotch sales service. Since our establishment a couple of years back, we have succeeded in repairing and upgrading many computers and laptops from the Miami area than you would probably imagine. Our repair technicians are always endeavoring to remain well updated with the changes in the tech world. Even for the latest computer virus that you have no idea about, you can have complete trust on our experts as they are well versed even with the latest malware threats. Our senior PC repair technicians boast of having an incredible wealth of experience in this field and you can rest assured that your laptop, computer and even you are in safe, caring hands. A customized solution allowing you to have the equivalent of a complete IT department at your disposal, providing the best service, quality, and efficiency. There are two great enemies of your PC that are heat and moisture. Excess heat accelerates the deterioration of the delicate circuits in your computer. The most common causes of overheating are dust and dirt: vents and fans thick can block air circulation inside the cover, and an even thinner layer of dust can raise the temperature of the components of your machine. Therefore it is necessary to keep your system clean inside and out.